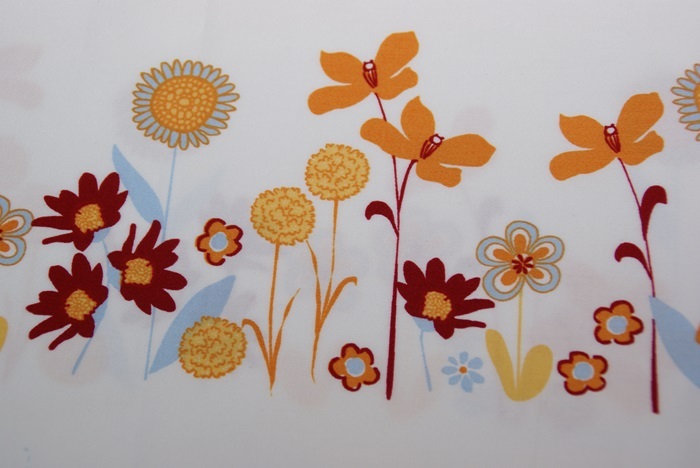 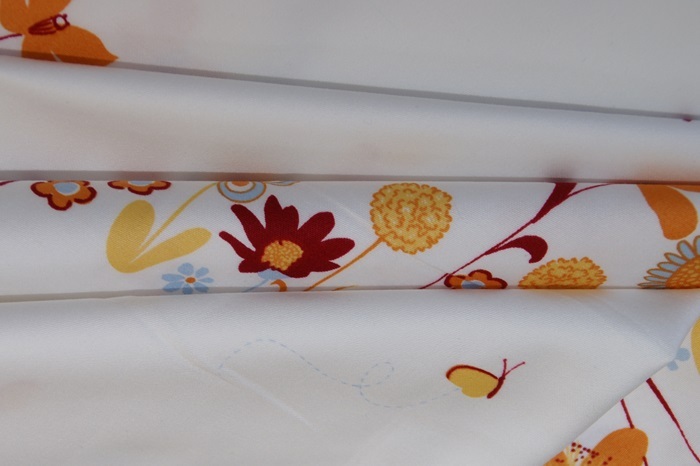 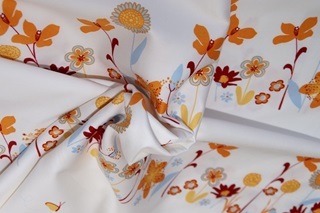 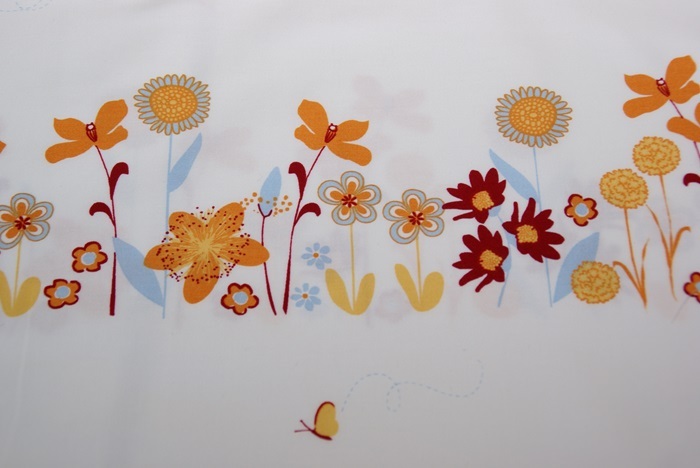 Beautiful cotton sateen (230 TC) by Harmony Art with a really cute band of flowers with yellow, orange, red and blue flowers on a white background. Made of 100% organic cotton, GOTS-certified, in a soft and very supple quality. 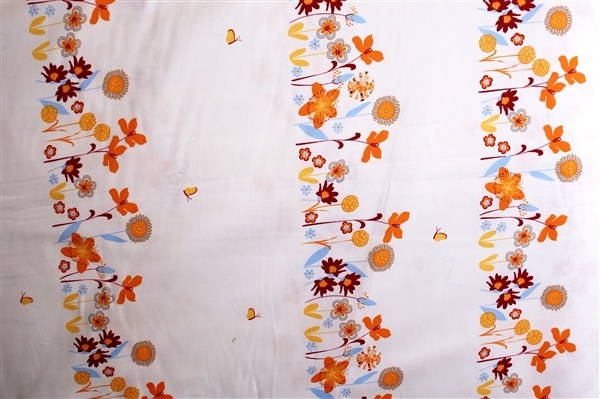 The print is parallel to the selvedge of the fabric and is repeated every 28cm. 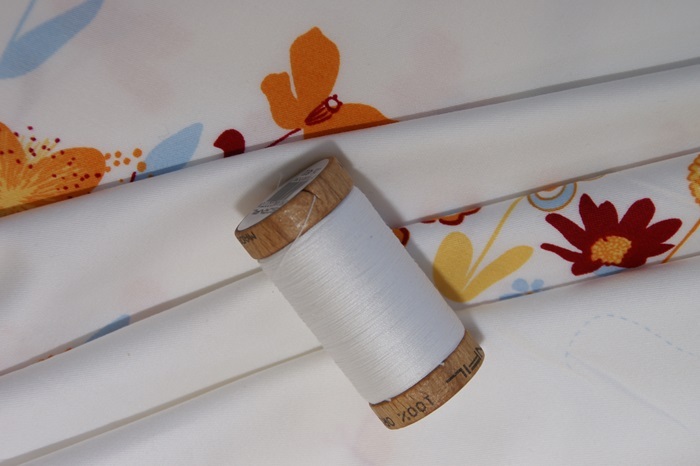 Find matching products at the bottom of the page.